Banco Bilbao Vizcaya Argentaria (BBVA), the second largest bank in Spain, is taking on a big bite of technology upgrades. It has created a separate department of 'Digital Banking' and gobbled up fin-tech startups like Atom and Simple to integrate with its traditional banking architecture. Not to be left out of emerging technologies, it has also created its own mini startup called Propel Venture partners. The total cost of all the integration and investments? Approximately $450 million. It is good that large banks are taking up digital challenge and adapting their functions. However, they are still loathe to let go of their archaic legacy systems and 'branch' mode of banking (BBVA has close to 4000 branches of Europe). And this is where they get the story path wrong. Having both modes can literally choke bank's business model. Given the tight credit scenario in today' economic condition, large banks will find it very difficult, not to mention, expensive to compete. Thus, increasingly looking like a shadow of their former glory decades. Implementing programs full of codes, spending countless man-hours and costs will only add to operating expenses. And are bank employees expected to learn tweaking codes to update work processes? And buying multiple smaller tech firms willy-nilly is not the solution either. They come with their own list of specifications and personality. Multiple vendor code base will give months of headaches while trying to integrate with existing systems. An ideal integration should be bi-directional with no scope for duplication. Database relationships has to be seamlessly established with no downtime for synchronization. The ultimate aim of integration is to access to data which will power your CRM platform. So, why go for multiple vendors when you can get everything through a single CRM solution vendor? Go for a CRM solution that has a code less architecture. Having a code less architecture discounts the need to wrangle base code lines if you feel the need for change or scale. Any configuration can be done with a simple drag and drop functionality. For example, HDFC bank, Asia's largest private lender, uses CRMNEXT Autonoma Integration to create process flows and to integrate different systems. 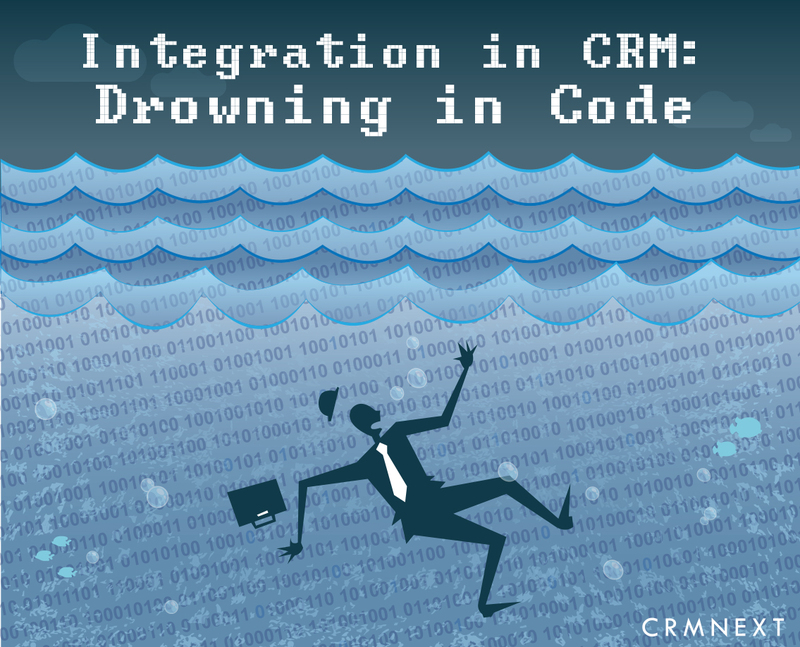 The hard part of setting up pre-defined 'coded' functions is already done by the CRM platform. It would be foolish to expect archaic systems (no matter how updated) to help banks keep up with digital tech competition. Nor will gobbling multiple small fish will help (multi-million investments has its limits). Though tempting and sophisticated it may sound, brands especially from the BFSI sector should refrain from pouring money into legacy systems. They should instead divert the cash into enriching their stakeholders (customers first) with the help of an agile Cloud CRM.